Post Play. Up & Under Move. Make a shot fake (up) to get the defender up in the air. 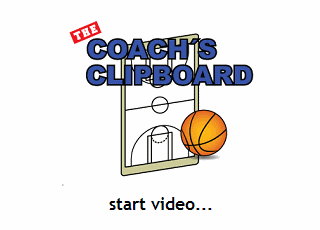 Then pivot, dip under and make a one-bounce power dribble to the hoop. If you are positioned low at the block, you won't need the dribble... just fake, pivot, dip under and go right up with the shot. Protect the ball with your body.